From Yellow Submarine (Apple Films, 1968) comes the Blue Meanie’s household pet, the Flying Glove. 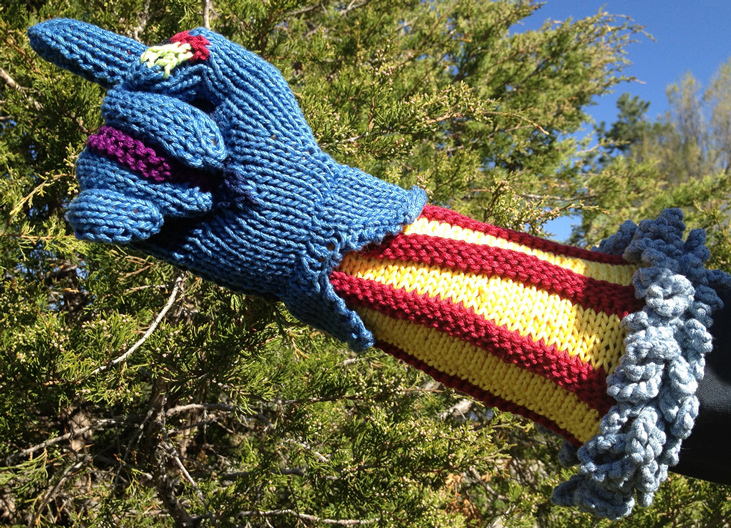 Although at first it was destructive, with liberal doses of Love and Understanding, the Flying Glove was transformed into the Love-ly Glove. Knit yours on two needles with cotton yarn in vibrant colors. Fun for holidays or costume conventions! Pattern includes sizing for child or adult, with suggestions for modifications.